Gunki Rod Rest Set can old up to 6 made up rods with its 6 x 40mm slots. Can be fitted anywhere along your Gunki accessory bar or onto the screw of the accessory bar legs. 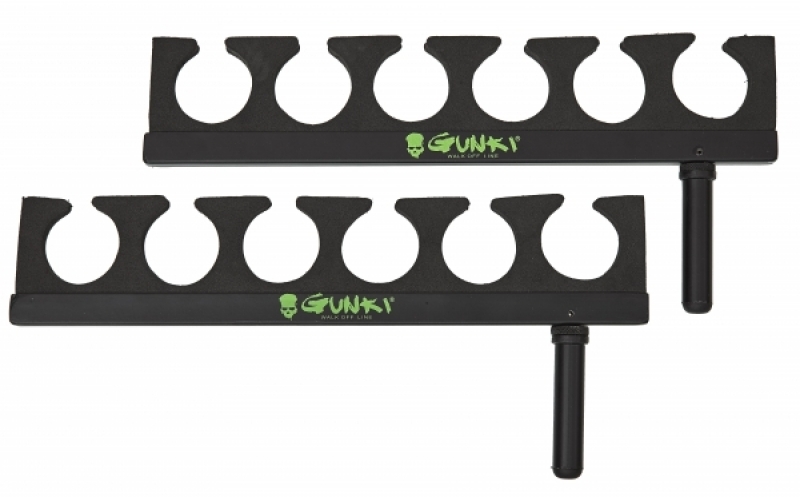 Gunki Rod Rest Set has been designed for the Gunki Float Tubes.